Sewing can be a wonderful hobby as well as a cherished life skill. If you teach your kids how to sew, it can help them mend or alter clothes in the future and be independent instead of relying on others. It can also help them to save and even be a source of revenue for them. Sewing is not something that is gender specific. Both men and women can become very good at sewing and create wonderful designs and clothing. There are plenty of professional male tailors who make clothing for both men and women. There are also a lot of female tailors all over the world who are into designing and crafting clothing for both genders. Sewing can be particularly good for girls. In general, girls tend to be more creative and use their imagination when it comes to shaping the world around them. While boys tend to be more into physical activity, girls show greater talents in crafting and making things. It is no surprise that girls tend to get more excited when it comes to designing clothing. In practice, girls prefer to use more colors and artful designs on projects. They have a greater eye for detail and use precise stitching patterns to create unique clothing. Sewing is really a craft at which girls can excel. There is a growing trend to customize clothing and make it as unique as possible. More and more people are getting into the habit of making and altering their own clothes and go local instead of purchasing mass-produced clothes. Girls are especially taking interest in reclaiming their individuality and being able to craft designs on a sewing machine opens many possibilities to be unique in the future. Sewing can be a very fun and fulfilling activity. It gives you a great sense of accomplishment once you complete your craft. If you are looking to teach sewing to girls, the first thing you want to do is to pick projects that girls would be interested in. You don’t want to start with a project so difficult that your students are unable to complete it and give up. You also don’t want to start with something that is so simple that it seems meaningless and gives no real sense of accomplishment once you have completed the project. It is important to teach students how to do it right, but you should remind them not to get hung up on being perfect from their first project. As long as you get better with each project and make progress, you are on the right track. The sewing machine and accessories are central to every project. They allow you to stitch fabric together and also let you create decorative embroidery or topstitching that give projects a wonderful finish. 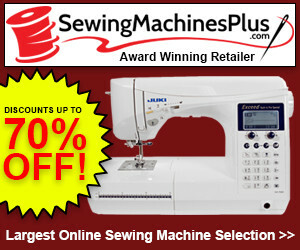 There are plenty of good sewing machines for girls in the market that can do the job for them. Some sewing machines are particularly good for beginners and younger users. These machines are smaller, lighter, and easy to use. Although they do not offer the advanced functionality you would need as a professional, they are perfect as learning tools for girls. The functionality and automatic features on a sewing machine are important when it comes to determining its ease of use. For example, threading the needle, reverse stitching, tension control and adjusting the machine’s arm can be difficult tasks. They can waste so much time and may require the help of an adult. Thankfully, improvements have been introduced in a variety of new sewing machines that make these tasks as easy as pie. Additional features like a LED light for the working area, dial-controlled stitch selection, stitch diagrams, and extendable table have made sewing very easy. Now, girls as young as 8 years of age can operate a sewing machine with little to no adult supervision. If you know how to sew, great! You can take your girls through the basics of sewing yourself on the sewing machine at home. If you don’t know how to sew or don’t have the time to do it, there are plenty of good sewing and crafts schools that can help beginners. You can also find plenty of “teach yourself” projects online that go into great detail on the basics of sewing. These lessons will take you through sewing from beginner to intermediate and expert level in no time. It is very easy to get carried away and start planning projects out of your scope when you first start sewing. However, we advise a more balanced approach and you should focus on one project at a time. Increase project complexity only as you start getting better so that you do not get frustrated. Here are a few things to look out for when seeking out sewing projects for beginners. Focus on sewing projects that require straight-line stitching. Straight stitching is easier and it will give the girls confidence and practice before they take on curves and pattern-style stitching. Do not give out projects that require intricate designing in the beginning. The project should not have a lot of frills or embellishments. Crafting of household items can be one of the easiest projects to start. These include cushions, pillows, blankets,and the like. You can also focus on accessory covers such as key fobs, keychain holders, pool bags, soda drink cozies, pouch bags and purses, mobile or pencil case pouches,and many similar projects. Sewing machines aimed at young girls are generally smaller and lightweight. Since young girls are generally just starting out, their ideal machines are the ones that aren’t too complicated and easy to operate with plenty of automated features. The downside to using a simplistic design is that entry-level machines do not offer many sophisticated features usually found on professional quality machines. However, that should be alright as long as you are just aiming to use the machine for teaching girls how to sew rather than completing commercial projects on them. Some of the popular sewing machines for girls include the following. This sewing machine has decent to good reviews on Amazon. It is very small and lightweight. The machine only weighs around 5 pounds and its dimensions are 10 x 4.8 x 8.5. It has very simplistic controls. There are 11 stitching patterns that are controlled with a dial at the front. Stitching styles include straight, crescent, zigzag and a buttonhole. The machine includes a high-pressure foot lift, has an easy top-loading bobbin, a four-piece feed dog, an attached finger guard, and a free arm. It also includes a button-controlled bobbin winder and a reverse stitching option. This model from Brother is excellent for beginners and can be a suitable gift for young kids. The machine weighs about 16 pounds and dimensions are 17.8 x 7.6 x 15.1. It comes with 27 built-in stitching styles that can be controlled with a single dial and also includes a one-step buttonholer. This sewing machine for girls offers a free arm that gives versatility to sewing projects. There are 6 quick change sewing feet included as well. It has a jam-resistant top bobbin, an LED-lit work area, automatic needle threader, and a drop-in bobbin. 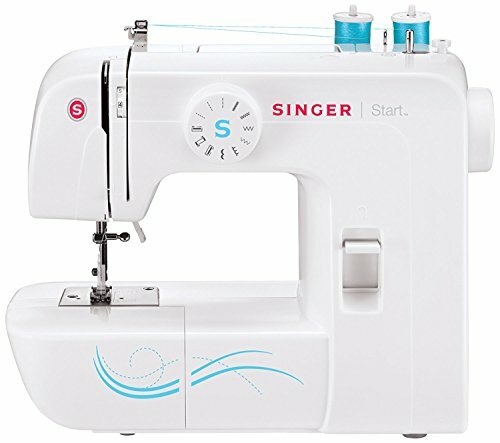 This is another sewing machine from Singer aimed at beginners and young kids. It is a small and lightweight model that weighs about 7 pounds and dimensions are 13 x 7 x 11.5. The machine is ideal for beginner adults as well as kids. It offers 6 built-in stitching patterns that can be selected through the dial at the side. It includes a width and length adjustment feature and can make stitches up to 5 mm wide. There is a 4-step buttonholer as well. The machine has an automatic needle threader, reverse stitching, automatic bobbin winder, and a drop-in bobbin holder at the top. The machine can generate a speed of up to 750 SPM. 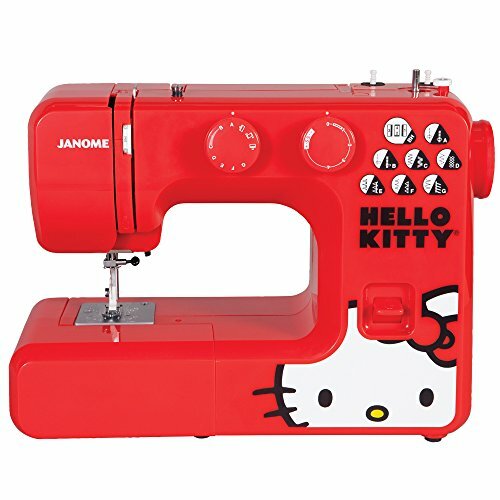 It has very good reviews as a sewing machine for young girls. 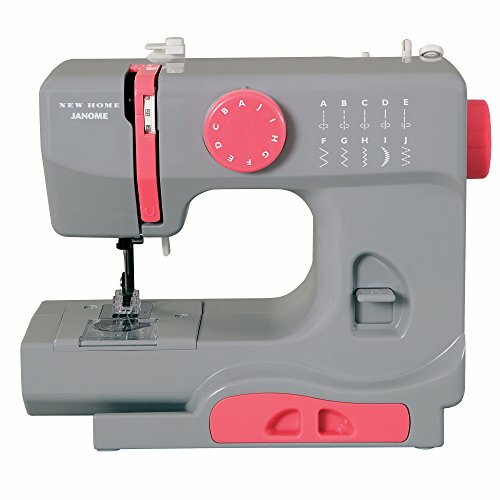 This is another great model that is suitable for girls who are trying to learn sewing. The machine comes in a bright red color with a big Hello Kitty image at the side. It weighs about 14 pounds and dimensions are 14.6 x 4.8 x 9.6. The machine is great for learning as most functions are automated. 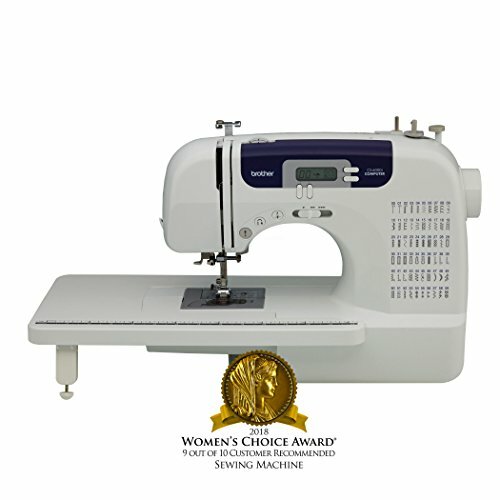 It offers 15 stitch-styles, a 4-step buttonholer, and includes a stitch length adjuster. The machine is quite sturdy and doesn’t vibrate during stitching. Features include automatic needle threading, bobbin winding, and a reverse button to reinforce the stitching. It is a beautiful looking machine that can be set up easily and the machine size is great for girls aged 8 to 18. Maximum speed is 850 SPM. This is one of the more professional-grade sewing machines aimed at young girls and learners. It is suitable for both beginners and advanced users. 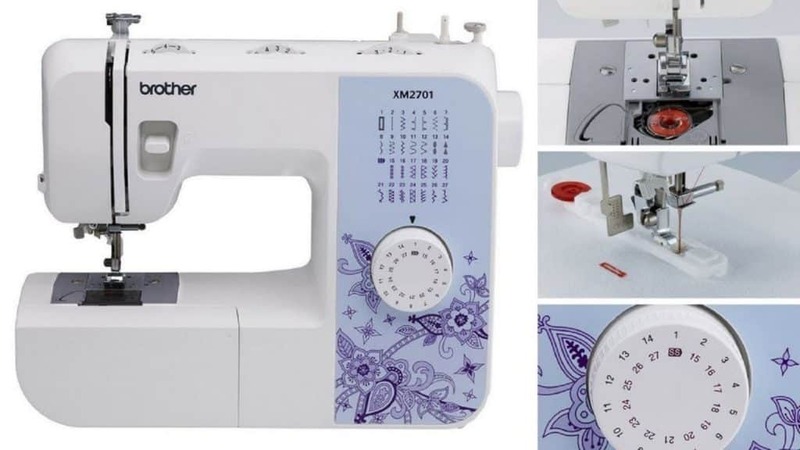 If your girls are a bit older or if you only want to buy a single sewing machine for them that can still be used when they become good at sewing, then this is the machine to go with. The sewing machine weighs about 32 pounds and dimensions are 23 x 14 x 16. The first thing you will notice is the programmable panel and LED at the side from where you can choose the stitching program. You are going to need it with its 250+ built-in sewing patterns. It has an extendable table and workspace can be increased when working on bigger projects. You can use the machine for embroidery, topstitching, and even work on heavy-duty fabric like denim and leather. 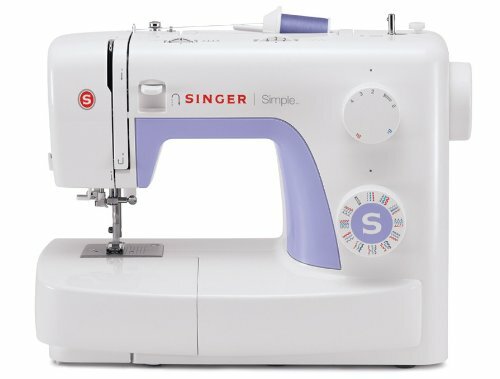 Singer Simple 3232 Price: $93.09 "I would recommend to new sewers, or to someone Like me, who just needs a simple no-nonsense machine! Easy, straight out of the box." It has 32 built-in stitching styles and a one-step buttonholer that can be controlled with the help of dials at the side. It includes an automatic needle threader, a high presser foot lifter, an automatic reverse stitching, and a stitch length and width adjustment. 4 presser feet are included with the machine. With its simple features and automated functions, the machine is great for beginners and young girls. It can go up to a speed of 750 SPM. 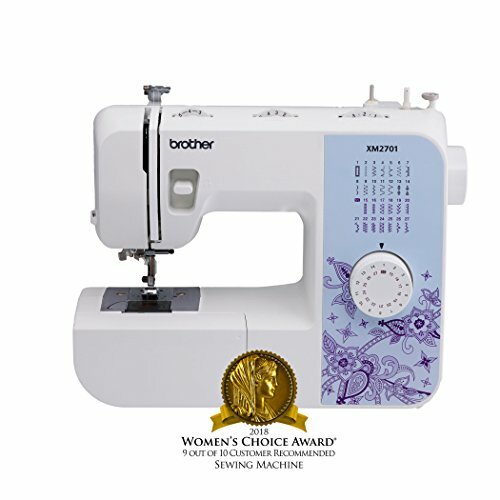 The user-friendly and lightweight Brother CS6000i is another good option for girls who are trying to learn sewing. The machine is simple enough that it can be used by beginners but offers enough features that your girls won’t need to buy another model once they’ve progressed to an advanced level in sewing. This machine weighs about 13 pounds and dimensions are 15.5 x 6.6 x 11.4. It comes with 60 pre-built stitching styles including 7 styles of one-step buttonholers giving your girls many options for complex projects. 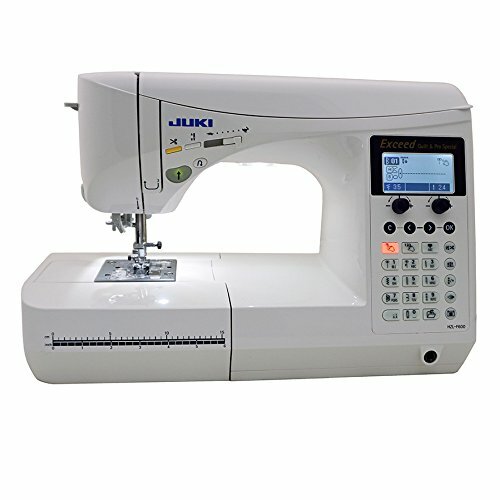 It includes automatic threading, bobbin winder, reverse stitching, speed controller, and width-length adjustment options. The machine includes a large, detachable working table that comes in handy when stitching bigger projects like quilts. Stitch styles are selected via a programmable panel near the top. The machine has easy to understand diagrams at the side. The work area is lit with the help of a bright LED, allowing easy sewing on dark fabrics or dim lighting conditions. Brother CS6000i has high ratings on Amazon and reasonably priced to attract users. In our minds, it’s the best sewing machine to get started. It has great features, it’s easy to use, and it can grow with your skills.